Is there a HelpOut Tab plugin I can use on my Wordpress powered site? 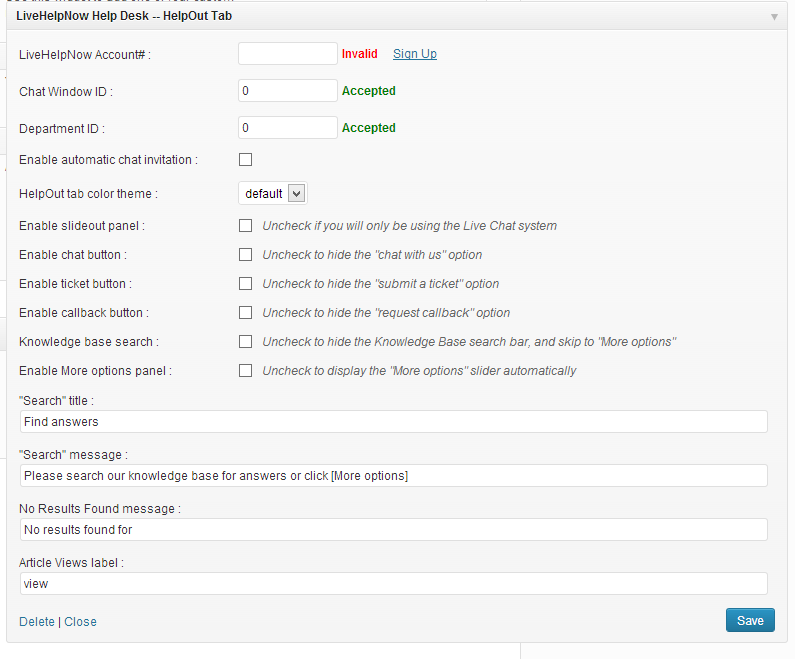 Instructions on how to install and configure the HelpOut Tab on Wordpress. 1. 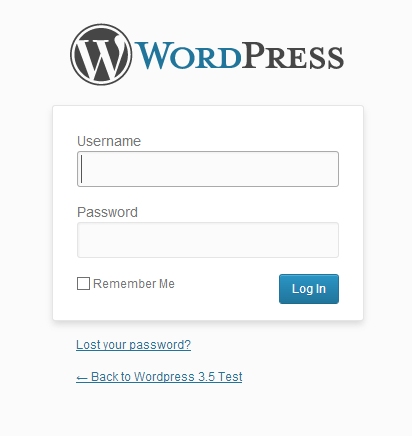 Login to the admin section of your Wordpress installation. 2. 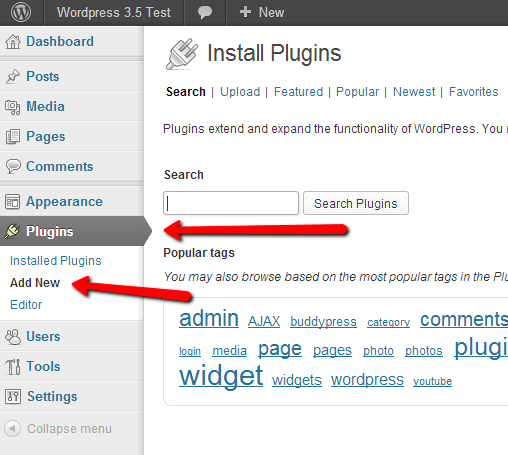 Choose Plugins -> Add New. 4. 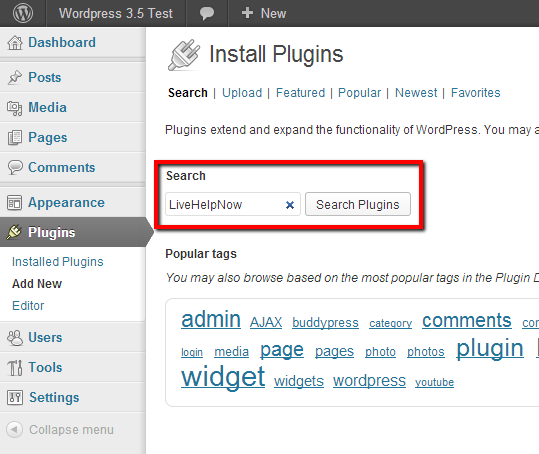 Click "Install Now" on the plugin. Note: you may need to provide your FTP credentials to proceed. 2. Choose Appearance -> Widgets. 3. 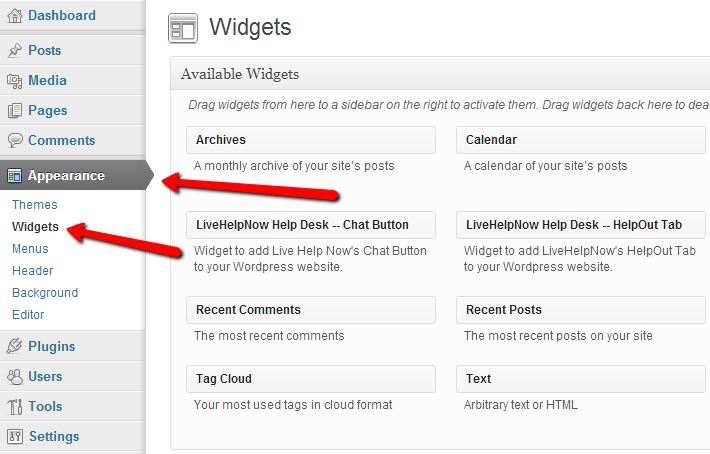 Click on the widget title and drag it to the widget section. 4. Fill out the widget form and click "Save". 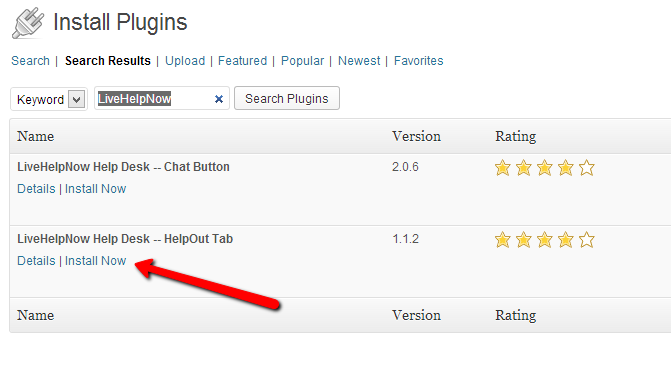 If you would like to install the chat button Wordpress plugin, please click here.